With over 42 years in the industry, Walter T. Rea Jr. is Rea & Associates' managing partner. Actually, the staff calls him "The Big Cheese." He's responsible for establishing the firm's long-range goals, hiring and firing, daily operations, including technological upgrades, and countless other tasks. Walter has been with Rea & Associates since its inception 31 years ago and specializes in individual and estate tax, partnership tax/accounting and general management issues. A California native, Walter was born in Lompoc, Calif. He received his bachelor's degree in business administration/accounting from California State University, Los Angeles in 1968 and earned his Certified Public Accountant (CPA) certificate in 1974. He has belonged to the California Society of Certified Public Accountants since 1974 and the American Institute of Certified Public Accountants since 1975. He worked in public accounting for about 18 months and was drafted into the army, where he served in the finance corps and in Vietnam. After he received his CPA certificate, he took a job as vice president of finance for a 500-bed teaching hospital. He later became vice president of finance and project director of financial software development for a computer startup company. Later Walter went to work for a CPA firm in Beverly Hills, owned by Julius Lefkowitz, whom Walter considers his mentor. It was from Julius that Walter learned to be passionate about his profession, that above all else, one must honor the ethics of his profession, and the importance of doing the best job you are humanly capable of for every client, every time. Walter later left Julius Lefkowitz & Co. and moved to Patterson, where he set up farming investment partnerships for Los Angeles clients, managed investments, owned more than 350 acres of fruit and nuts and served on the Diamond Walnut Advisor Committee. Walter met Bob Lewis in 1987 and formed R. Lewis-W. Rea & Company, which became known as Rea & Associates in 2004. Walter is currently vice president of finance for Functional Designs LLC – a Reno furniture and carpet company. He also serves as secretary of the Patterson Cemetery District. He is the past president and current vice president of finance for the Copper Creek Homeowners' Association. Although he's very busy, Walter enjoys cooking, working in the yard and interacting with the community at Copper Creek. His talents include a way with words and the unique ability to work well with both staff and clients. Walter and his wife, Liz (Elizabeth) enjoy his four children: Joy, James, Michelle and Michael and their grandchildren Charlie, Tyler and Landen. The Reas' newest babies in the family are two German Shepherd puppies; Shebba (70 lbs) and Bubbba (100 lbs). In addition to meeting some of Hollywood's "old guard" while at Julius Lefkowitz & Co., when he was a young child, Walter shook hands with then-President Eisenhower. Walter's favorite foods are his mom's broccoli casserole and her homemade macaroni and cheese topped with ranch dressing. He loves all types of salads and could eat them for every meal! His favorite dessert is banana cream pie. Walter is very passionate about his job, emphasizing that the finished product (i.e. tax return, financial statement) must not only be attractive, it must meet the highest standards of excellence! His goal for every client is to do the best possible job. "This often means asking additional questions and seeking more information," Walter says. Regarding the Rea Team, he says his staff goes the extra mile for every client. "I really believe we have a staff that will 'go to until they drop' for the clients as well as for Tim and I," he says. "We work very hard here, but we also take time to have fun," Walter explains. "Pumpkin Pal week is a great example. During Halloween week, we draw names and bring surprises each day for our secret pal. We do the same for Valentine's week." Walter adds, "Everyone who walks through our door does so the first time as a 'client.' But none stay 'clients,' they become 'family.' And family deserves the best! So our job of 'delivering the highest possible quality of service in a timely manner' is easy because that's what family deserves!" Affectionately referred to by the staff as "The Little Cheese," area native Tim Taylor, partner and enrolled agent, joined Rea & Associates in 1997 with the acquisition of Noret Bookkeeping Service. He became a Rea & Associates partner in 2004. Tim has more than 32 years of experience as an accounting and tax professional. 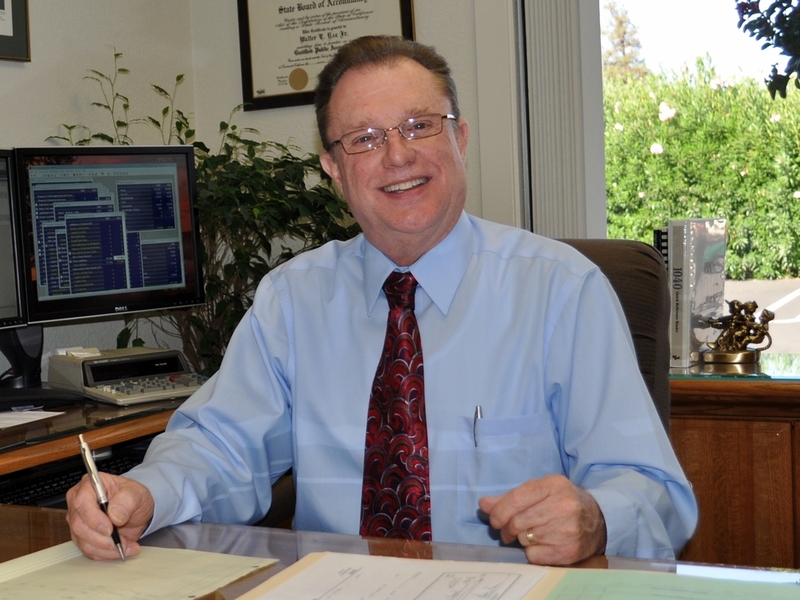 He earned an associate's degree from Modesto Junior College in 1972 and spent the next 10 years working full-time for a local real estate firm as its bookkeeper and office worker. During this time, Tim began working part-time during tax season for Noret Bookkeeping Service. He became a full-time employee for Noret in 1985. A coworker, the late Betty Mount, quickly became a mentor to Tim and inspired him to further his career in the tax field. Tim became an Enrolled Agent in 1989. Tim is a member of the National Society of Enrolled Agents and the California Society of Enrolled Agents. He has also served on the board of directors in various capacities of the local Big Valley Chapter of the California Society of Enrolled Agents. He has been a Notary Public for 40+ years without interruption, and is currently in the process of renewing his commission for another 4 year term. He has completed all levels of the National Tax Practice Institute - earning the designation of "Fellow," and also holds the designation of "Accredited Tax Advisor" from the Accreditation Council for Accountancy and Taxation. His primary responsibilities at Rea & Associates include overseeing the bookkeeping staff and tax preparation - specializing in taxes for individuals and small businesses. One of the busiest people you'll ever meet, Tim enjoys all types of travel and has visited all of the western states, Nebraska, Indiana, Ohio and Washington D.C. He has also enjoyed trips to Victoria and the Canadian Rockies. A favorite camping spot is the Clarks Fork area in the Stanislaus National Forest. An overseas trip in 2006 satisified a lifelong desire to visit Salzburg, Austria and see the Austrian Alps along with a stay in Slovenia and a visit to Venice, Italy. In 2017, another lifelong desire to travel to Alaska was accomplished, with the highlight being a day trip on the White Pass & Yukon Railroad, Skagway, AK. Tim is a longtime member of the Stockton Cactus and Succulent Society, where he has served on the board for several years, including three terms as president. He finds the plants most unusual, from a drab, sometimes ugly plant, a vibrant, gorgeous flower will burst forth - adding truth to the old saying, "Beauty lies within." He says his club associates, whom he's known for two decades, are an interesting group of people, ranging from the world travelers in search of rare and endangered species of cacti and succulents, to the novice collector, like himself. Due to time constraints, Tim has been less involved in the club recently, but remains a member. Tim says, "Being part of the Rea & Associates family is truly unique. Being surrounded by a hard-working staff and having a dedicated partner has certainly eased the transition from employee to partner." He also says, "All of our staff, Walter and myself, work very hard to provide the best possible service to our clients, but it's really great to have some fun along the way!" Tim notes, "The joy and the bright spot in tax season for me is the clients that I serve." He adds, "I always look forward to seeing my clients, even if it's only once a year." Deanna Van Unen, administrative assistant with Rea & Associates since 1994, performs countless duties. She handles administrative billing, typing, scheduling appointments, client contact, tax return work which includes input, verification, review, assembly, client calls, training and typing of financial statements. She also works closely with Tim and Walter. In 2013, she attended a week-long series of billing and tax classes in Hawaii. 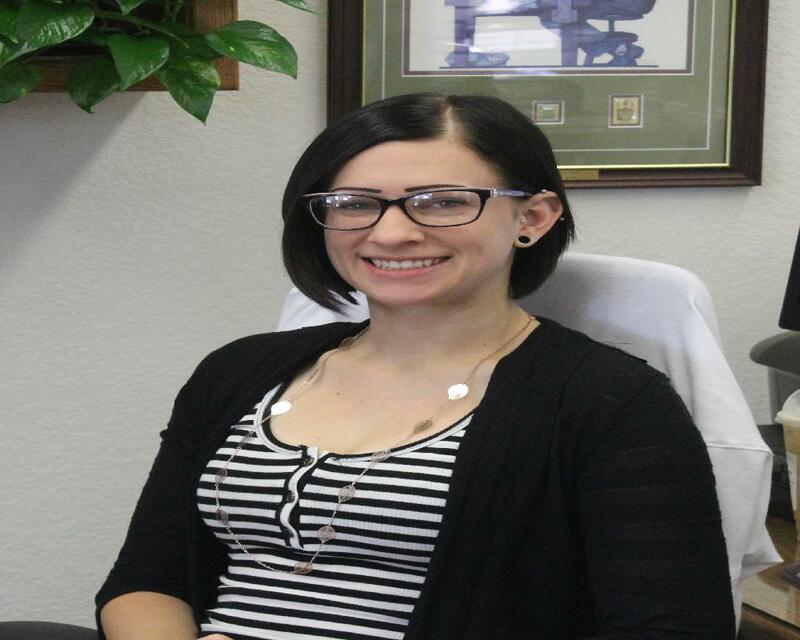 Her background includes five years as a chiropractic office manager and three years as a medical billing clerk. Deanna's interests include cooking, entertaining, gardening and having fun by the pool with her husband Tony, and children Chandler and Darian. Chandler attends junior college and Darian is in junior high. The family's dog, Max, was just joined by a new Shih Tzu puppy, Izzy Bella. Has Deanna ever come across a celebrity? While in Las Vegas once, she and her husband were asked to be extras in a poker game on the Carson Daly show. Deanna was rather embarrassed when Carson sat by her and introduced himself while they were filming on live TV – especially since she had never heard of Carson and had no idea how to play poker! When asked about working for Rea & Associates, Deanna says, "We're one big, happy family. We get along very well. Walter and Tim are great to work for." She continues, "We make it fun even if we're having a bad day, a problem with the kids or something personal. When somebody says, 'Hey, let's go have a fat, juicy hamburger,' then it all seems okay." Deanna says her job specialty is client relations. "My goal for every client is to let each one know that I'm here for them no matter what," she says. "I love my clients! I want them to know that when they join our firm, they become part of our family." Originally from Glencoe, Minnesota, bookkeeper Karen Wilson joined us in June 2009. She handles client payroll, tax deposits, coding and data entry, check processing and bank statement reconciliation. Her focus is on meeting clients' expectations by completing requests correctly and in a timely manner. She possesses bookkeeping expertise and experience as a credit union teller and loan officer. She's been a Quick Books ProAdvisor since 2012. She was a certified California Notary Public and previously held a real estate license. On-the-job training, plus courses in financial services, real estate and technical accounting add up to a strong foundation. Karen, who says people would be surprised to learn that she's shy, has several interests. Among these are being with her three sons, James, Justin, Isaac and her cats Sweetie/Kitten and Bandit. Her son James grew tomatoes for her in 2013, and she says it was a treat having homegrown tomatoes. Her mother has a green thumb that Karen says she did not inherit or learn. Karen also enjoys occasional comedy shows and baseball games. She's traveled to the Oregon coast and watched fireworks over the bay, been to Hawaii, where she took a helicopter tour over an active volcano, and has also played at Disney World in Florida. When she can she visits her very large, extended family in Minnesota and enjoys the lakes. In high school, Karen was master of the drill team and choreographed routines. A lifetime cat lover, she has completed six oil paintings of her feline friends. "They seem to have an independent spirit about them, filled with adventure and fun," she notes. Another of her talents is seen during her favorite time of year: Christmas, when she expresses her artistic side by decorating a tree and/or presents. "My family tells me the gifts are too pretty to open." In the food department, Karen likes Mexican entrees best – probably due to her desire for tomatoes and avocados. Among her favorite meals is a combination of Doritos, cottage cheese and tomatoes. Regarding desserts, she tells us Minnesota has the best apple pie, but calls the strawberry rhubarb pie in Chaska, Minn., "unbeatable." Karen says it's a pleasure to work with the Rea & Associates team, "everyone treats their clients in a respectful, professional way and adds a personal touch to their services." She says Rea clients are friendly and she enjoys meeting and getting to know each one. Karen wants you to know that Rea & Associates provides a professional staff for accounting and tax services, and really cares about its customers. Bookkeeper Ramina Khobyar, who joined us in December 2015, is detail oriented and accurate. She frequently looks for ways to leverage technology to be more efficient and effective. Her duties at Rea & Associates include bookkeeping, payroll and helping clients organize their tax information. Ramina has always excelled in math and science, and she has a passion for accounting and bookkeeping. 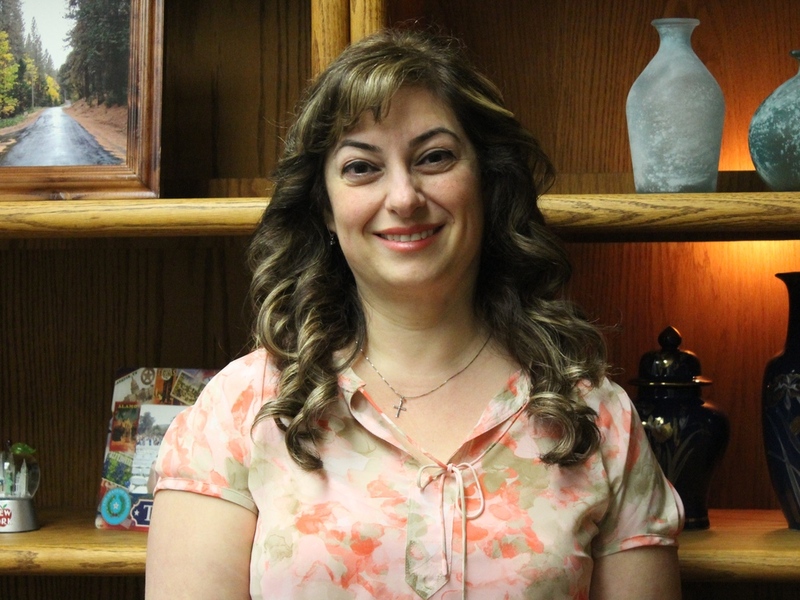 She possesses a bachelor’s degree in accounting from California State University, Stanislaus, and associate’s degrees in business administration and general education from Modesto Junior College. In prior years, she earned a bachelor’s degree in nursing and worked as an ICU open-heart surgery nurse. Later, she volunteered for the activity department in a senior care facility. Ramina is fluent in English, Farsi and Assyrian, and likes to travel. While preparing to move to the United States, she lived in Athens, Greece, for about a year. She says it’s beautiful there, with its culture, ancient cathedrals and sprawling landscapes. She also appreciated the authentic food, such as gyros and moussaka. In America, Ramina has visited Seattle, Colorado and Santa Barbara. The coastal city is her favorite place to go because her son lives there, and it offers the best of both worlds: beautiful beaches and mountains. Speaking of her son, Belsin has a degree in computer engineering and enjoys his job as a software developer. Her daughter Sweeney is a senior in high school and works at a local restaurant. Ramina enjoys art, gardening, springtime, cooking, baking, playing chess and spending time outdoors. She loves reading (and helping to solve) Agatha Christie mysteries, and has learned to sculpt using alabaster stone. She makes delicious lasagna and pastries. Her favorite food is raviolis, and for dessert, pistachio ice cream. Her favorite snack is French fries topped with plain yogurt. Ramina likes to watch ballroom dancing, ice-skating and basketball. And her preferred music genres are rock, pop and country. As far as honors, a few years back, while working as a student assistant in the library at MJC, Ramina was voted Work-Study Student of the Year – and her name appeared in the school newsletter. Ramina is very enthusiastic and always willing to go the extra mile for our customers. She enjoys helping people, doing good work for them and seeing her clients’ resulting happiness. Her Rea co-workers welcomed her from the start, she says, and everyone on the staff is friendly, very nice, understanding and helpful. Originally from Santa Rosa, California, Heidi Davis became our receptionist in July 2018. Prior to joining Rea & Associates, LLP, she helped us through two tax seasons – and had a chance to see what she was getting into! Heidi takes care of our busy front office, answers questions, obtains signatures, handles filing, copies, faxes and mail, helps with payroll pickup and delivery, tax return assembly/delivery, runs office errands, etc. She also assists on Excel, is learning QuickBooks, and does some social media. In addition to all the fun she has around here, you might run into her at The Olive Garden, where she’s a weekend server. Earlier jobs included Betty’s Burgers and Buddy’s Restaurant, both in Santa Cruz. Heidi is a friendly and easy-going receptionist. She genuinely enjoys helping people and making their lives easier. Besides being a people-person, Heidi is an “animal person.” Years ago, she volunteered at an animal shelter. She’s passionate about animal welfare, loves dogs, cats and frogs, and finds sharks fascinating. Heidi enjoys spending time with family, attending concerts, and taking day trips to San Francisco, Santa Cruz and Sonora. Someday she wants visit Europe, Scandinavia, Mexico and Disneyworld, and take at least one cruise. She’s a lifelong Giants fan and has stayed after games where some of players high-fived fans. Speaking of sports celebrities, Heidi saw Hunter Pence ride by on a scooter, and in Santa Rosa, Heidi’s parents saw Joe Montana at the mall. A little-known fact about Heidi is her gymnastics training, which spanned about a decade. For a short time, she was on a trampoline team and practiced flips, turns and routines for hours. Heidi’s favorite foods include churros from Disneyland, and the guacamole, pepper jack and chipotle burger or pineapple, bacon and teriyaki burger (with avocado) from Betty’s Burgers. Favorite shakes from Betty’s: cookies & cream or “dirty paws” (vanilla ice cream, caramel, Oreos and chocolate fudge). She also really likes poutine fries, a Canadian delight (French fries, gravy and cheese curds). The best time of the year is the fall, Heidi says, with its nice weather, rain and occasional thunderstorms. Her top holidays are Halloween, Thanksgiving and Christmas.